It’s been a long and meandering road for Warner Bros.’ big-screen rendition of It, but just as the studio begins to make some exciting and tangible process with Stephen King’s The Dark Tower, Variety brings word that an official release date has now been set for the former – September 8, 2017. Beasts of No Nation director Cary Fukunaga had once been attached to helm the long-long-gestating feature, though ultimately bowed out citing creative differences. In his steed, Andy Muschietti has been drafted into the director’s chair, with the next port of call for Warner being casting Pennywise the Clown, that nightmare-inducing psychopath originally portrayed by Tim Curry. Production is expected to finally kick into gear at some point during the summer. Elsewhere on the Warner Bros. slate, there’s also word of the studio slating the C.H.I.P.S. reboot to hit theaters on August 11, 2017, while an as-yet-untitled comedy has slotted into December 22, 2017. Circling back to It, though, and barring the ’90s miniseries, fans have been chomping at the bit to see King’s horror masterpiece spun out into a feature film. For those unfamiliar with the core premise, the author’s horror centers on a group of young friends who are known among the town and themselves as the Losers’ Club. Reports indicate that Warner is planning to weave the bloodcurdling tale across two feature films – one chronicling the children’s first encounter with the It monster, while the second sees them revisiting the horror as adults. For now, only one piece of that puzzle has been pegged for release. 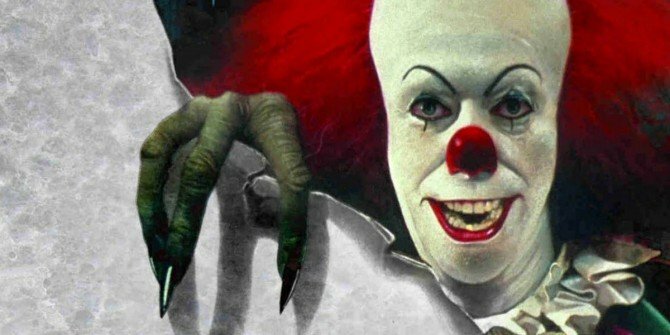 It will scurry into theaters on September 8, 2017 – but who will be cast as Pennywise the Clown?